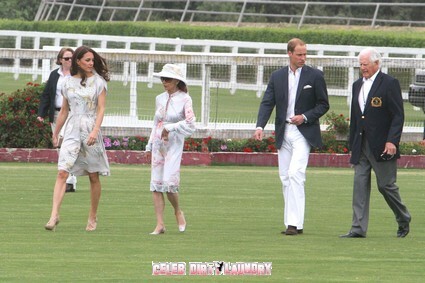 Prince William, Duke of Cambridge and Catherine, Duchess of Cambridge hosted The Foundation Polo Challenge held at the Santa Barbara Polo & Racquet Club Carpinteria, California today July 9th, 2011. 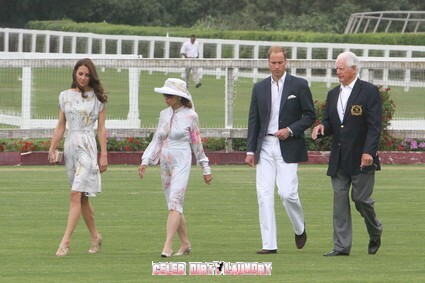 William wore a white shirt and trousers with a blue blazer while Catherine looked wonderful wearing a ‘De Gournay’ silver and marble grey hand-painted chinoiserie silk dress by Jenny Packham. Kate, formerly known as Kate Middleton is now referred to formally as Catherine, Duchess of Cambridge. 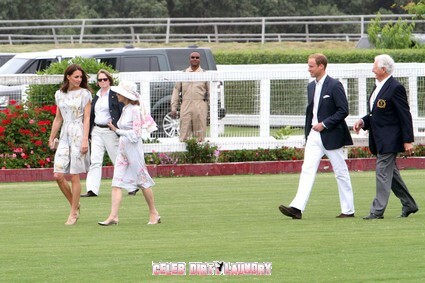 Princess Catherine is expected to present the winning team with a stunning trophy made by Tiffany & Co.! 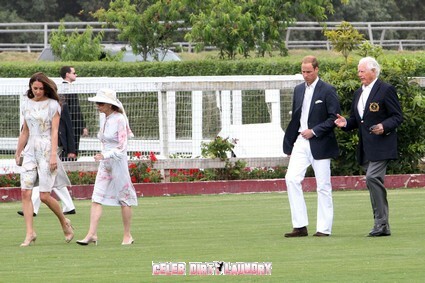 Proceeds from the event will go towards the Foundation of Prince William and Prince Harry. 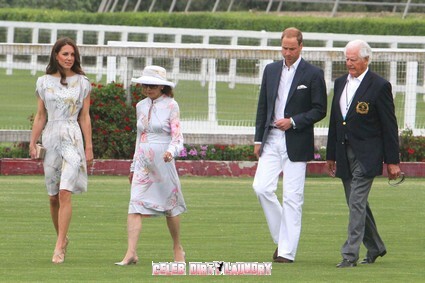 VIP seats cost $4,000 so if you want to have a plate at a private luncheon cooked by Giada De Larentiis, walk down the red carpet, and possibly get an invitation behind the hedges into the royal’s private hangout that is the price. Cheaper seats can be bought for $400 and that gives you a boxed lunch and a seat in the grandstand. 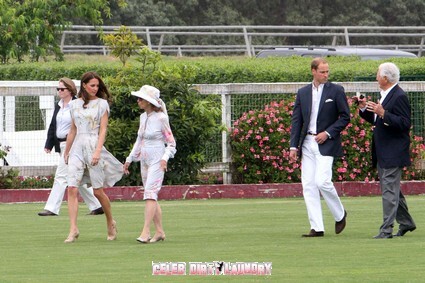 Click on the thumbnails below to enlarge 26 more pics of Prince William and Kate!